My fifteenth entry to Norms Thursday Doors. Essential Doors. Simon Lévelt (1775-1850) was a Dutch trader in colonial produce. In 1817 Lévelt opened his first shop in Amsterdam selling, among other products, various kinds of Tea and Coffee. 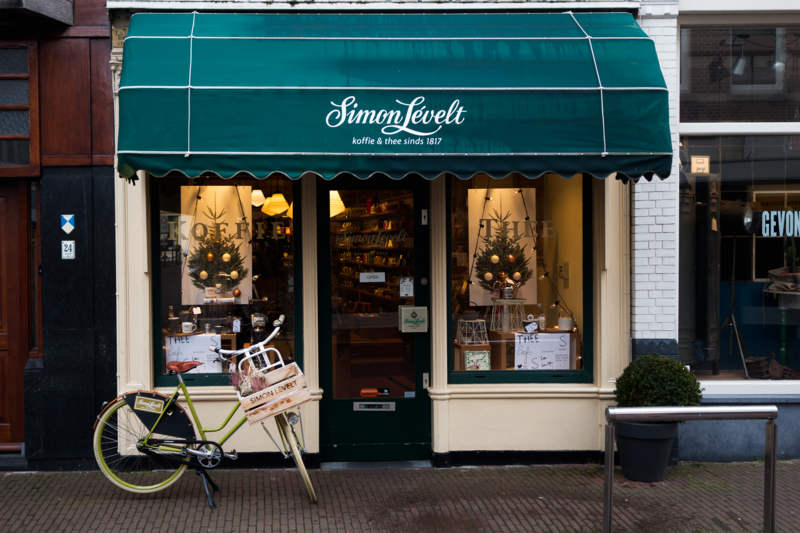 This picture taken in Gouda is the shop frontdoor of one of their 40 shops in The Netherlands and Belgium. I’m a tea lover as well and I’d love to spend the morning here. I like the bike right in front, just in the right place for a great composition. That looks like a very inviting little shop,I bet they have a great selection of teas.